Strong. Badass. Galvanizing. These are just a few of the words that have been used to describe our collection of electrifying SoulCycle instructors who will be leading our flagship classes at 'Dare to Bare’. Though they might have their own unique style, each one shares the same vision for creating a space that dares you to be vulnerable, only to prove that you’re stronger than you look. Why I Dare To Bare: I have a secret—even though I am a fitness professional and junkie, I suffer from body image issues. I had been a long time competitive dancer where I faced self-image issues due to the crazy expectations of how I looked which eventually lead to eating disorders. At 22, I quit dance altogether to find a new path in fitness and became a SoulCycle instructor. My sweaty, endorphin-filled classes became the opportunity I craved to advocate for strength, empowerment and self-worth. But there was a moment while teaching a class that I found myself too self-conscious to take off my jacket and bare what I affectionately call my belly jelly. It was then that I came face to face with my own lifetime’s worth of body image issues and realized the uncomfortable truth—that my own journey of self-acceptance was only just beginning. I realized how important this issue is and what a real struggle it is for so many. I wanted to find some way to make a difference, to celebrate who we are and to find empowerment through strength. 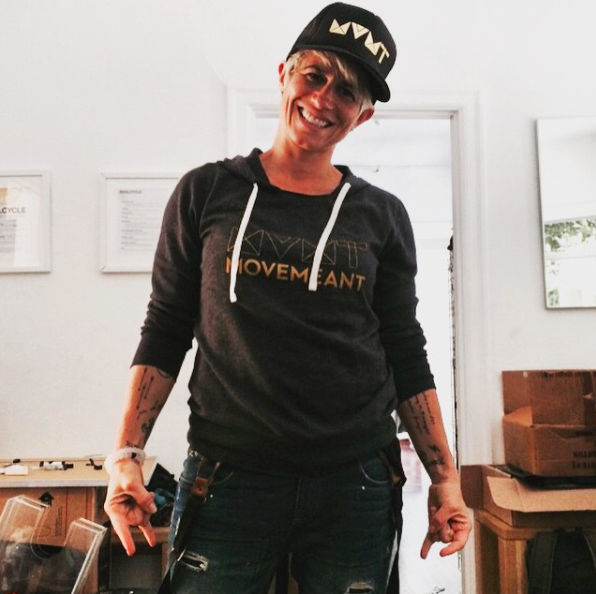 Why I’m Meant to Move: I am meant to move because my mind, body, & soul loves and craves it! I studied dance for many years and I have always found rhythm & beats naturally. Moving whether it be dancing or riding at Soulcycle is very freeing, and I find that I need that release. The sweat, endorphins, and energy that are created while moving, is just the high I need to fuel my day. As an added bonus I get to be part of other rider's journey's to their goals. I hope that when people take my class they leave feeling exhilarated, challenged & inspired. I am meant to move because it is a necessity. Just like air & water. Why I Dare To Bare: To be free confident and bold without judgement or boundaries. Why I’m Meant to Move: Progression, transformation, growth and change are only possible when something moves. Why I Dare To Bare: Simply put, it scares me and I want to be a courageous role model for young woman. Why I’m Meant to Move: I feel like going to dance class saved my life growing up & whether i am dancing on a yoga mat or on a bike at Soulcycle… it still saves and inspires my life everyday. Why I Dare To Bare: I dare to bare because I believe in the message behind the movement foundation. 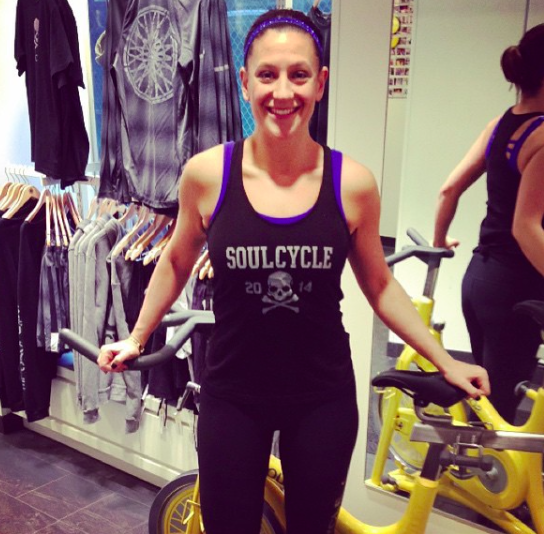 I have been an instructor at SoulCycle for four years now and I STILL feel uncomfortable teaching in a sports bra! I'm scared of what people will say or how they will look at me (everyone has their own insecurities). I always say in class "if you don't feel good you won't look good" I should practice what i preach! And at the end of the day I am confident with who I am, and how I look, because I feel good, and that's what matters. Why I’m Meant to Move: Moving gives me energy and energy makes me happy. Why I Dare To Bare: I believe that every body is beautiful and that we must all band together to remind women and girls (and men and boys for that matter!) to love the skin they're in. We only get one shot at this crazy ride we call life and we must love and accept who we are in order to fully capture the essence of what life has to offer. It took me a long to time find self love, and I spent many years wishing my legs were longer, my arms more toned, my tummy more cut, but after years of fad diets, flirting w anorexia, and spending hours on the treadmill (which I hated) I found the right balance. I found a type of movement that brought me joy. I taught myself how to cook. Am I perfect and never had negative body thoughts, no way, but am I stronger today that I ever have been? Totally. I want to inspire others to take their journey to find body love.